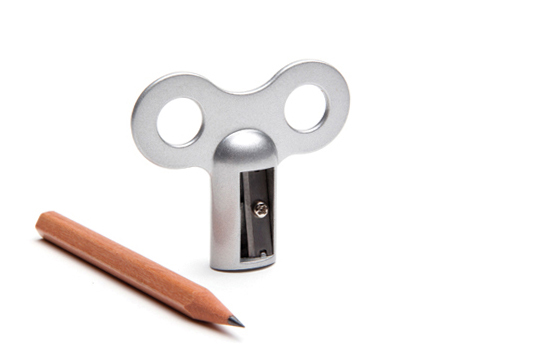 Made out of cast metal, the sharpener resembles an old fashioned turnkey. 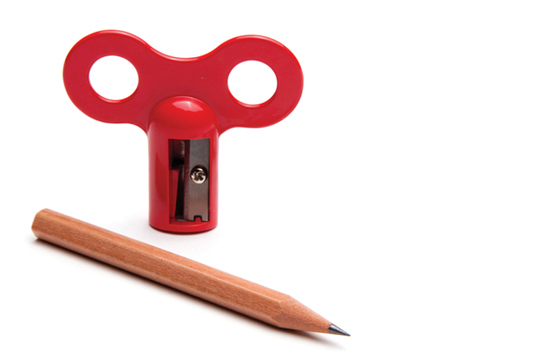 Instead of turning the pencil, the sharpener is the moving element and is used to literally "wind up" pencils". 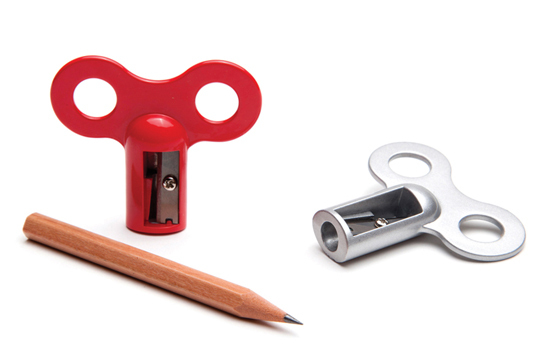 Available in red‭ ‬&‭ ‬silver. Dimensions: 5x5.7x1.9 cm.